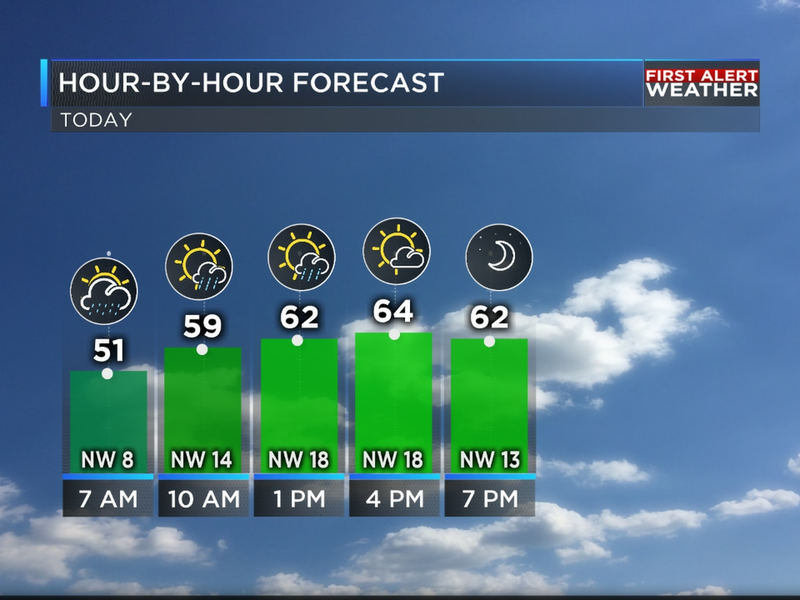 The KSLA Stormtracker 12 Weather Team is teaming up with Academy Sports+Outdoors stores and Midland Radio to help keep you safe during our spring storm season. One of the ways you can be prepared for the next storm is to have a programmed NOAA Weather Radio in your home. A weather radio is just like a smoke alarm, quietly standing by until it needs to alert you to dangerous weather moving into your location. 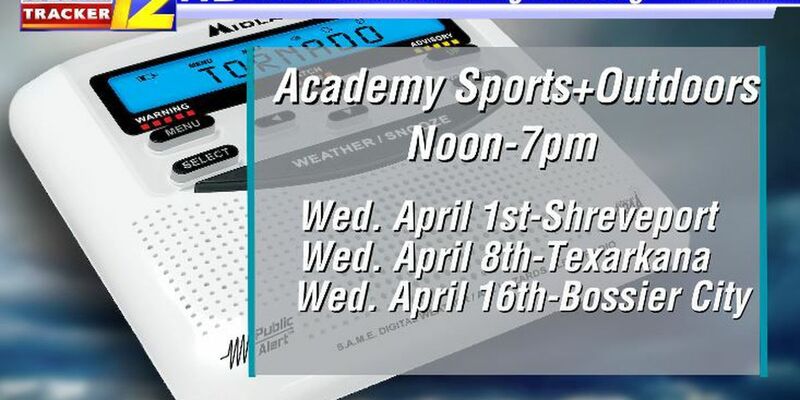 For the first three Wednesdays in April we will be out programming those weather radios for free at Academy Sports+Outdoors stores around the ArkLaTex. If you already have a weather radio and need it programmed, bring it by and we'll get it set up for you. If you need a weather radio they will be for sale at a discounted price of $29.99 (batteries not included).